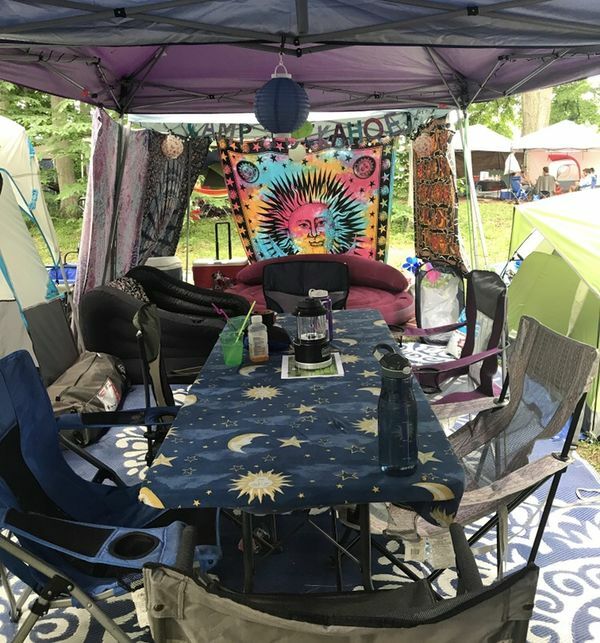 This guide serves to outline a day at Electric Forest Music Festival in Rothbury, Michigan, so that you can prepare and set yourself up for a magical experience. 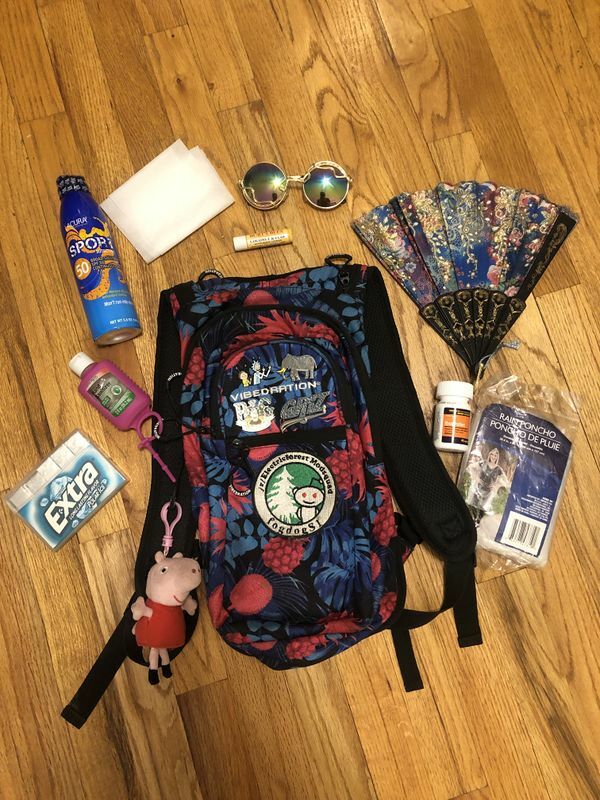 A comprehensive list of necessary items found below will help you to thrive during a day at Electric Forest, while also encouraging you to explore and interact with all the Forest has to offer. Remember to show respect for the festival grounds, fellow foresters, as well as the surrounding environment. Happy Forest! Begin the hydrating process as soon as you wake up. Whether that means sipping on coconut water or an electrolyte-based beverage with breakfast or chugging a bottle of water and going back to bed for an hour, make hydration a priority. Take advantage of water refill stations located throughout the camp and festival grounds to fill up water bottles and hydration packs. While glass is not permitted on the festival grounds, there are plenty of other sustainable hydration options available that don't involve single-use plastics. Hit the food vendors or raid your cooler. Try not to go into the venue on an empty stomach if you can avoid it. Bonus points for taking vitamins and having a few electrolyte-based drinks. Bring along plenty of fresh fruits (natural packaging), pre-made smoothies, pre-cooked pasta, and veggies. Coming prepared food-wise is not only healthier and better for the environment but far more economical as well. Whether it's a shower or a baby wipe "bath", getting clean is a great way to recharge and feel more prepared for the day ahead. Even just splashing water on your face and brushing your teeth can energize you after a long night (or the drive in, if it's day one). Be sure to stretch. Stretching is so restorative after a long drive in or evening of dancing. Try to take advantage of yoga at least once during your tenure at Forest as well. Yoga is offered at noon at Tripolee (the first stage in the venue) on the second, third, and fourth day of the festival. Apply sunscreen or any makeup/glitter/face decor you plan on wearing throughout the day. Consider makeup to be highly weather-dependent. If it's 95 degrees and sunny, a full face of foundation will basically become a makeup mudslide unless you're using superglue as a primer. Use environmentally-friendly products and remember to express yourself sustainably. Biodegradable glitter is a great option and allows you to leave those microplastics behind. Forest lends itself to unbridled self-expression, meaning wild costuming and extravagant personalities. Have fun and express yourself however you like, just remember to keep the forest and surrounding environment in mind. Rain or excessive heat can drastically change the way you'll spend your day if you don't prepare for it. If it's going to be sunny, stash a pair of sunglasses in your bag. If it's going to rain, have a poncho ready just in case and consider wearing rain boots into the venue. If spotty cell phone service prevents you from checking the weather, stowing a few things in your day pack such as a reusable poncho, extra socks, sunscreen, and a pashmina will make a world of difference if the weather changes suddenly. More weather-specific gear and clothing: Rainy Poncho Rain boots or rain shoe covers Small towel Sunny/Hot Sunglasses Bandana Hat or pashmina Sunscreen Foldable fan or handheld battery-powered fan Mister or spray bottle Chilly Pashmina Sweatshirt, hoodie, or jacket Long pants or leggings Warm socks Bring warm clothing and make use of what you already have in your closet. Borrow items from friends and family, or make your way to a neighborhood thrift store, where you can find funky festival clothing and reduce excessive contributions to the waste stream. Make a tentative list of a few artists you absolutely won't want to miss and memorize or write down their set times and stage location, instead of making a structured schedule for your day. Then, pack the printed daily lineup in your bag (if you've printed it beforehand, as Electric Forest does not provide this) or screenshot the schedule on your phone for easy access. With all the art, installations, events, and activities going on in the venue, it can be easy to miss a few of the artists that you'd planned on seeing. A good rule of thumb is: Will I kick myself afterward for not going to their set? If the answer is yes, choose that artist as one of your few daily must-sees. If the answer is no (but you still might be bummed), take note of when their set is and where it is going to be. If you find yourself having unexpected fun or making new friends in the venue during that time, don't drop everything to go see that set. If you're close by and feeling a bit idle, then go check it out! Be sure to take screenshots of the lineup before entering the festival grounds and place your cell on airplane mode. Cell service can be hard to come by while inside the venue and the whole idea of Forest is to find a deeper connection than any cell phone can provide. Talk with your friends and ask how they plan on spending the day. Cell phone service can fluctuate within the venue, so it's important to communicate beforehand about what sets you want to see together and come up with a potential meeting spot and/or time. Consider whether you'll be in the venue all day until you return at night or if you'll be coming back for dinner or a brief rest, and pack accordingly. Make sure to empty your water bottle or hydration pack before leaving your campsite. Security will be checking for full water bladders or bottles and will ask you to empty them. Doing this beforehand makes the process quicker and easier for everyone. 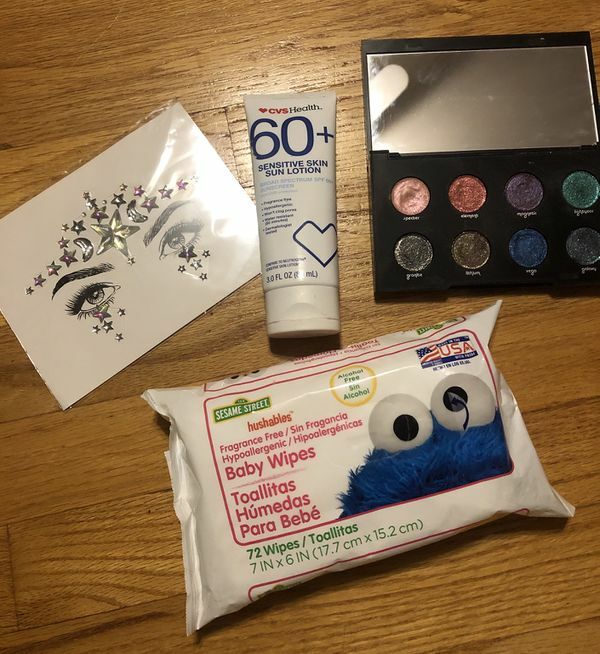 Some good items to pack include: sunscreen, hand sanitizer, extra toilet paper, an emergency poncho, a folding fan, sunglasses, snacks, ibuprofen, chapstick, and gum. Factor in potential line-waiting time before leaving your campsite. If you're in GA and want to see a set at Sherwood Court (the farthest stage from GA camping) at 2 p.m., it might be a good idea to leave by 1 p.m. just to be safe. Make sure that any valuables (including cash, Bluetooth speakers, car keys, wallets, jewelry, etc.) are safely locked away in your car or out of sight before leaving the campsite. Theft does happen, but if you avoid making your site an easy target, you will most likely leave the festival with no incidents at all. Dress warmly for the evening! After spending a day out in the sun, evening temperatures have the potential to feel relatively frigid. Dress accordingly and your evening experience will be much more enjoyable. Throw pillows and blankets in your car before heading into the venue for the remainder of your day/night. Temperatures have the potential to dip fairly low in the evening and moisture follows. Nothing is worse than returning to camp at the end of your night to find damp pillows and bedding. Utilize reusable containers to store liquids and food items. 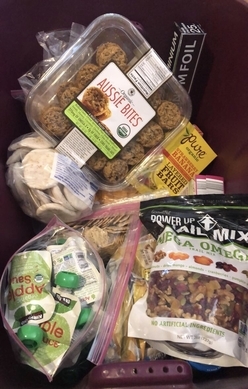 While no glass is permitted on festival grounds, there are many options available for storing food and staying hydrated that don't involve single-use plastics. Minimize your plastic use and go for more sustainable options whenever possible. Allow yourself the time and freedom to explore. As stated above, it's great to have a tentative plan for seeing sets, but be sure to dedicate some time in your day to freely wander and explore. There are many secrets to be discovered, characters to be met, and unexpected fun to be had. If something looks interesting, pursue it. Ask questions, be inquisitive, and indulge in a childlike state of wonderment. You never know what you may find or who you might meet in the Forest. Check out Forest Plug-In Programs to make the most of your festival experience. Electric Forest offers countless workshops, artist meet and greets, and inclusive programming. Visit the Electric Forest Plug-In page for more information at Recycle! Gather up those returnables, save those discarded paper products and don't toss out any plastics. 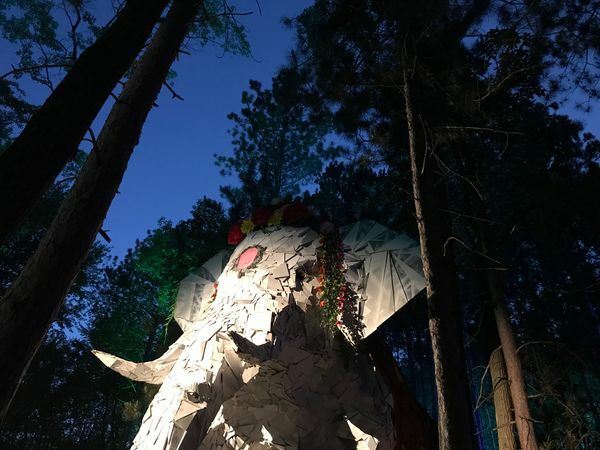 Instead, bring all trash and recyclable items to any neighborhood EcoZone (these are located throughout the campgrounds) and receive EcoPoints, which you can then redeem for awesome prizes or Forest gear. Take advantage of trash receptacles inside the venue. There are bins for compost, recyclables and trash. All vendor disposable tableware is compostable (this includes cups). Immerse yourself in the Forest community. Reach out, connect and get to know your neighbors and other Foresters. Engage with anything and everything you may come across throughout the festival grounds. There are many characters and creatures to be found amidst the Forest.